A fundraiser to pay for repairs at a popular West Texas swimming hole has been extended, as organizers are hoping to reach a goal of $1 million. The Texas Parks and Wildlife Foundation —separate from the parks department— is trying to hit the lofty fundraising goal to pay for work being done at Balmorhea State Park pool. Once the fundraising period is over, Apache Corporation will match the amount raised dollar for dollar. 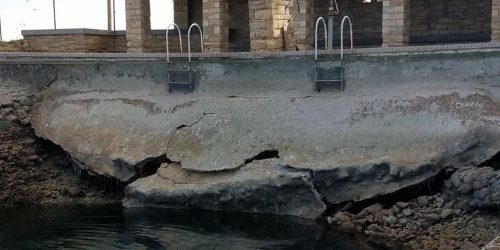 Repair work to the pool first began on Sept. 4th — nearly 4 months after park staff first discovered “structural damage” to the pool during an annual cleaning. Since then, crews have removed the pool’s 14,000-pound high dive in order to reach the damaged area and they’ve built a concrete wall to provide better infrastructure. The state estimates the price-tag for repairs will reach $2 million. The foundation had initially planned to end the fundraiser on Dec. 31, but decided to extend the deadline because they were close to the goal. By the end of the year, TPWF had received $651,000 toward the repairs. Since then, the group has received hundreds of thousands of dollars more in donations, bringing their total today to $985,000. That amount includes roughly $30,000 raised from the Garrison Brothers Distillery, which is donating sales of their Balmorhea-inspired bourbon. “By the foundation raising private funds for these specific repairs, it prevents the state from having to divert resources away from other critical repairs and maintenance projects across the state,” said Houston. The Balmorhea area is part of a sprawling new Apache oilfield. Apache’s entrance to the region a couple years ago angered some who feared drilling in the area could harm the pool. So far there’s no sign that’s happened – the state says decades of erosion caused the structural damage. The park says it’s hoping to have the pool back open in early 2019. The deadline for the fundraiser is Dec. 31. You can donate here. 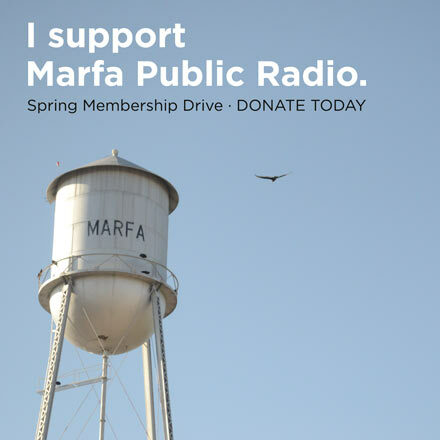 Marfa Public Radio’s Carlos Morales contributed to this story. Correction: An earlier version of this story misstated the amount of money Apache Corporation would donate. Editor’s Note: This story was originally published Dec. 28, 2018. It has been updated to reflect new fundraising totals from TPWF. This entry was posted in KRTS News and tagged balmorhea, Fundraiser, Pool. Bookmark the permalink.